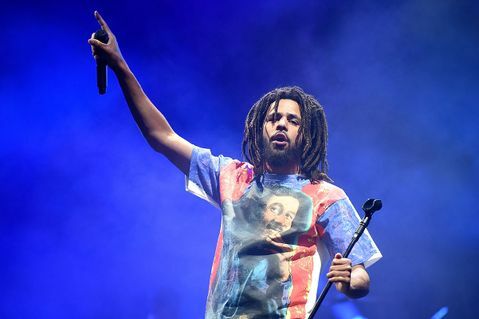 In 2014, J. Cole and his collective Dreamville Records dropped their first collaborative project, Revenge of the Dreamers. The project served as the world’s first taste of what the label has to offer. At the time, only Bas and Omen were featured on the first tape. 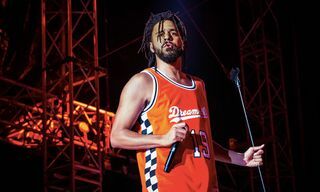 In the five years that have passed since then, Dreamville Records has become a collective with a host of different talents all shining in their own ways, but ultimately each artist and producer is a reflection of J. Cole and his business partner/manager Ibrahim IB Hamad’s vision of excellence. In the past month, musicians, producers, and a who’s-who of key industry talent have descended on Atlanta to start working on the label’s third collaborative project, Revenge of the Dreamers III. Each person who had been invited posted a yellow flier of the invitation they had been given on their Twitter or Instagram. It was rap’s version of Willy Wonka’s golden ticket to the chocolate factory. The invitation requested their presence and participation for 10 days. Immediately after they were posted on social media, questions arose on what exactly this event would be. Was it one long recording session? Was it a destination trip à la Kanye’s 2010 My Beautiful Dark Twisted Fantasy sessions in Hawaii? How does one get an invite? The answers to these questions would never be directly addressed by J. Cole or Hamad. Instead, they were answered through videos and pictures posted on social media of people bearing witness to history being made. 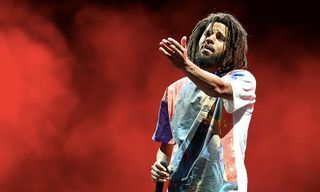 From all of these postings, it became clear that this album, whenever it arrives, would be monumental – not just for Dreamville or J. Cole, but for Atlanta, the city that has consistently birthed musical greatness for decades. Stephen Dacres, a 24-year-old tastemaker and SinceThe80s manager/A&R was present for all of the magic happening during those 10 days at the Tree Sound Studios in Atlanta. Despite working closely within the industry and citing J.I.D. and 6lack as close friends before their fame, he initially greeted the invitation with confusion. “I was thinking that they’d be in cabins and might record,” he told Highsnobiety, “and trust building exercises.” What it proved to be was the exact opposite – a time to record in a studio that has hosted everyone from Elton John to Drake and Future when they were recording their collaborative tape, What a Time to Be Alive. 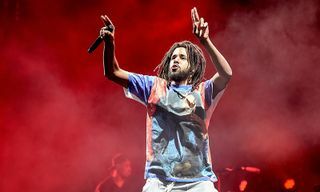 While he has the backing of JAY-Z’s Roc Nation label as well as Interscope, J. Cole is still very hands-on in all of his projects, or really, every aspect of his career. It was his idea for the Willy Wonka-esque invitations, and, according to Dacres, he spent time during the retreat interacting with some of the lesser known producers who typically wouldn’t come face to face with him. By the time the getaway was over, everyone from DJ Khaled, Swizz Beatz, Lenny S, Rick Ross, T.I., Wale, Isaiah Rashad, Young Nudy, Buddy, Ski Mask, J.I.D, Saba, and Smino had made an appearance in the studio. It was an eye-opening look into the working methods of the legends of the past, present and future. The studio had become a place with a guest list that rivaled any award show. There were so many guests that one day an attempt was made to temporarily shut down the studio to limit the amount of people coming in and out. Details such as how the album will sound or its release date are being kept secret. 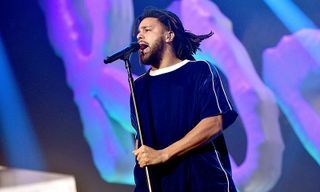 Dreamville Records will holds their first annual festival in April, with many speculating a possible drop around that time. 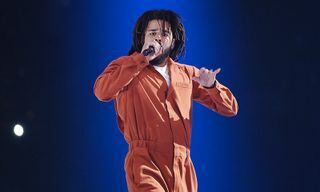 Following the sessions, Hamad tweeted, “Just put 124 songs/ideas in a playlist on this flight and that’s not even every song on the hard drive yet #ROTD3 #Dreamville.” That hard drive is perhaps the most valuable hard drive that exists in rap music right now. 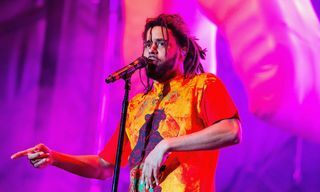 Through those sessions and the future of those 124 songs, J. Cole and everyone involved at Dreamville are showing that the old way of doing things is over – no more room in hip-hop to keep these sessions exclusive to the big dogs, or to mistreat writers and producers who are begging for a break. As Dacres put it, “Being in Atlanta, we know people personally, instead of going through publishers to get the producers. If they wanted to do things the old way, they should have gone to LA or New York. Atlanta moves differently.” We’re ready whenever you are, Dreamville. For more of our features, get to know internet rap’s weirdest new personality, Lil Toenail.